Beth so sorry I was no able to come to the visitation tonight. It had been a really bad day for Mom and we have been dealing with her all day. I know you will miss your Dad greatly but also know he is in a better place rejoicing. Love and prayers are with your whole family. Theodore “Ted” DeMoss, 89, of Evansville, passed away peacefully on July 3, 2018. He was born June 4, 1929, in St. Charles, KY to the late Samuel and Virginia DeMoss. He retired after 25 years from ALCOA Warrick Operations. 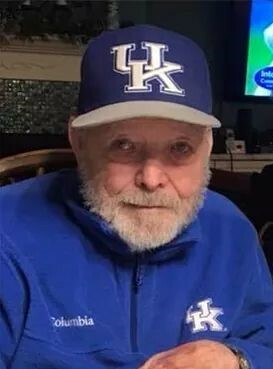 Prior to ALCOA, he was a coal miner, farmer, builder and owned several small businesses in Hopkins Co, Ky. Ted was a lifelong fan of UK Basketball. He loved the Lord, taught Bible classes with his wife and worked faithfully for the Kingdom. He was a devoted husband, father and grandfather who will be greatly missed. Theodore was preceded in death by his wife, Patricia, after 52 years of marriage and a great-grandson, Elijah Cates. He is survived by three daughters, Debbie (James) Grace, Ginger (Richard) Gardner, and Beth (David) Brown; a son, Tom (Marinetta) DeMoss; grandchildren, Tara Grace, Casi Fox, Brianna (Brandon) Cates, Zachary (LE) Grace, and Theodore James “TJ” Grace, Adam (Micha) Gardner, Kyle Gardner, Kayla (Justin) Daman, Samuel (Ashley) DeMoss, Ryan DeMoss, Caitlyn DeMoss, Andrew Brown, and Lydia Brown; and eighteen great-grandchildren. A visitation will be held from 4:00 until 8:00 PM Thursday, July 5, 2018 at Sunset Funeral Home in Evansville, Indiana. A morning visitation will be held from 9:30 AM until funeral service time, 10:00 AM Friday, July 6, 2018 at Sunset Funeral Home in Evansville, Indiana. A graveside service will be held at 1:30 PM Friday, July 6, 2018 at Ilsley Cemetery in Dawson Springs, Kentucky. Next William “Bill” H. Wilson, Jr.